An Archive of Drupal themes, Drupal modules, and Drupal distributions that make Drupal awesome. Drupal distributions are easily compared to Linux distributions, as they are built on the same principles. Drupal distributions are base Drupal installations at the core, but they also package in other contributed modules, possibly some custom modules, and a possibly a custom theme to bring together a nice starting package for certain types of websites. Here are all the Drupal distributions we have been able to find around the web. We've found 30 Drupal Distributions as of Feb. 1st 2012! Acquia Drupal - Acquia's Drupal stack which bundles Apache Mysql and PHP with a handy UI for your local server. Bitnami Drupal Stack - Bitnami's Drupal stack which bundles Apache MySQL, and PHP with a UI to manage your local server. Brainstorm Blogger - A distribution profile made specifically for a blog out of the box. COD - The Conference Organizing Distribution is Developed by Growing Venture Solutions and is used on major conference websites such as the Drupalcon Chicago 2011 website. Commerce Kickstart - Commerce Kickstart distribution helps get your first Drupal 7 Ecommerce store up and running with Drupal Commerce. Donor Rally - A Drupal-based platform for creating social driven donation websites using Paypal. Useful for charity drives, and fundraisers. Drigg - A Drupal Digg clone. Drupal Commons - Acquia's Drupal Commons is a ready to use social platform built on Drupal that helps build community based websites and provides the tools to do so. EduGlu - A Drupal social learning platform. eRecruiter - eRecruiter is an online recruiting solution for enterprises and publishers built on Drupal 7. Homepage Paket - Homepage Paket provides a Drupal distribution for creating advanced homepages. The intention is to enable Drupal newbies to get their first Drupal website started more quickly. ISE - iSite Essentials - The LevelTen iSite Essentials (iSE) is extended distribution of Drupal designed for building enterprise-class Web 2.0 style websites. Managing News - A news aggregation tool great for news organizations and research built using Drupal. Originally developed by Development Seed. Phase 2 Technology recently purchased the rights to the Managing News distribution. Media Mosa - A Full Featured, Webservice Oriented Media Management and Distribution platform built on Drupal. NodeStream - NodeStream is a Drupal-based web platform for newspapers, magazines and other websites providing a stream of content. Developed by NodeOne. Open Atrium - An intranet and team collaboration portal built using Drupal. Originally developed by Development Seed. Phase 2 Technology recently purchased the rights to the Open Atrium distribution. Open Church - Open Church is a Drupal distribution built specifically with the need of churches and ministries in mind. Open Deals - Open Deals is a Drupal 7 distribution that facilitates you on building a deals site like Groupon.com for you or your clients. Open Enterprise - Open Enterprise is an advanced website construction kit built to give you everything you need to get your next generation website off the ground quickly. Open Outreach - Open Outreach is a Drupal distribution aimed at the nonprofit sector. It contains features frequently used by organizations such as events calendars, image and video handling. Open Public - A Drupal distirubution made specifically to build government websites and public policy websites. Open Public is currently in beta and was created by Phase 2 Technology. Open Publish - A distribution of Drupal that has been tailored to the needs of today's online publishers. Open Scholar - OpenScholar makes it possible to create academic web sites in a matter of seconds. Each web site comes with a suite of powerful tools from which users can facilitate the creation, distribution, and preservation of knowledge faster and more efficiently than ever before. phpEdu - PhpEdu is a package for managing educational institutions with the ultimate aim of a complete Drupal e-learning solution. Pressflow - A distribution of Drupal with integrated performance, scalability, availability, and testing enhancements. Science Collaboration Framework - SCF is a software toolkit to establish web-based virtual team organizations for researchers in biomedicine built using Drupal. Tattler - A semantic data mining tool. Another great tool for news organizations or research. Videola - Videola is an enterprise ready video management system and delivery platform developed by the Lullabot team. They currently use it on their Drupalize.me website. Volunteer Rally - A Drupal-based platform for creating volunteer management websites. Useful for disaster relief and recovery organizations. Drupal Installation Profiles are very similar to Drupal distributions, but they have not been fully packaged in the format that a full Drupal Distribution would be. Most Drupal installation profiles can be installed by extracting the installation profile that you download into the profiles folder off the root of your Drupal installation. Other Drupal Installation Profiles can be easily installed by using Drush Make. Here are some Installation Profiles we have been checking out. A few have the potential to become some amazing Drupal Distributions. MartPlug - The MartPlug installation profile is similar to the Commerce Kickstart distribution, but looks to be a bit more polished as a starting solution for Drupal Commerce in Drupal 7 when it is completed as a distribution. Starter - The Starter installation profile is just how it sounds. It's a good starter installation profile for a Drupal 7 newbie, or someone who wants to get Drupal 7 up and running with some nice base features like a WYSIWYG and some other helpful initial settings during install. 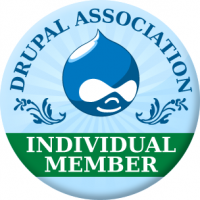 If you like Drupal, consider Donating to the Drupal Association or Becoming a Member today! Drupal Servers is an Arbor Drupal Development project powered by Drupal CMS, Linode, and a Ninja. Drupalservers.net is NOT an official Drupal website, and is NOT endorsed by Dries Buytaert or the Drupal Association in any way. It's sole pupose is to foster the use of the Drupal CMS to it's visitors. This site is owned and operated by Jason Moore, an Individual Member of the Drupal Association.